Uber accidents can happen. Whether you are an Uber driver who has been in an accident, an Uber passenger who was hurt in an accident, or another driver who was hit by an Uber driver, you may have important rights under the law. How a personal injury lawsuit will unfold in each situation may vary. Uber drivers can sometimes have complex insurance situations, so making a claim against the driver’s insurance can sometimes be quite involved. To best protect your rights, you may want to speak to an Uber accident lawyer in Fort Lauderdale, Florida to understand your options. A lawyer can assist you with the claims process. According to Uber, drivers for the ridesharing application are covered if they are liable for an accident while the application is on and when drivers are driving around waiting for a ride request. This means that if you were hit by an Uber driver, either as a pedestrian or as another passenger vehicle, Uber’s policy may be able to cover your damages, even if the Uber driver had no passenger in his or her vehicle. However, if the Uber driver was not at fault in the accident, the other driver’s insurance may be responsible for paying the passenger’s damages. Coverage limits, include at least $50,000 per person or $100,000 per accident for bodily injury, and $25,000 in property damage. An Uber driver’s own insurance may also cover damages that exceed these amounts, but many private insurance companies won’t cover Uber drivers because they consider them commercial operations. It is the responsibility of the driver to acquire the right kind of auto insurance, but many drivers remain unaware of their requirements, and some may be underinsured or not insured at all if they are using their car for Uber. Once an Uber driver has received a ride request, the insurance coverage increases. Drivers are covered for liability for damages up to $1,000,000 in damages, with higher limits in some states. 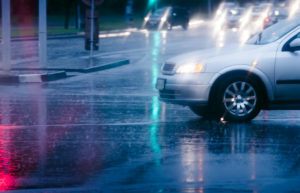 The coverage also covers other motorists for underinsured and uninsured motorist coverage. If a driver is driving their car for personal purposes, however, Uber’s insurance policy is not valid. In this case, the driver’s personal insurance coverage would have to be used. However, because car insurance companies don’t cover drivers under typical policies when they use their cars for commercial purposes, drivers will need to have appropriate coverage in order to have their policies honored. Madalon Law is an Uber accident attorney in Fort Lauderdale, Florida who can help you navigate the complexity of an Uber insurance claim. Our firm can also investigate your case to determine who may have been at fault and to fight for your rights either inside or outside of court. If you’ve been hurt in an Uber accident, protect your rights. You may be entitled to seek damages for your medical expenses, lost wages, and pain and suffering damages. If you drive your car for Uber, it is important to be properly insured. In the aftermath of a car accident, whether the accident occurred while you were driving your car on the clock or driving your car for personal purposes, the insurance claims process can be quite involved. Uber’s insurance coverage may also not cover you for lost wages, nor may it cover certain rehabilitation expenses. If another driver was at fault for your accident, you may be entitled to seek damages for your lost wages and other expenses not covered by either Uber or your insurance policy. Madalon Law are Uber accident lawyers in Fort Lauderdale, Florida who can review your case and help you understand the best course forward. Contact us today for a free case review. If you have been hurt as a passenger in an Uber accident, handle the situation as you would any accident. 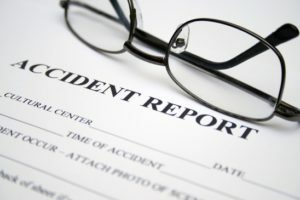 Make sure that everyone is safe, make a police report, or demand that the driver make a police report, and seek medical attention for your injuries. If you’ve been hurt in a crash while riding Uber, you may be entitled to make a claim against Uber’s insurance policy, your driver’s personal insurance policy, and against your driver himself or herself. If you believe that Uber’s own technology may have been at fault for your accident—for example, if the car you were riding was testing Uber’s autonomous technology, you may also be able to pursue a claim against Uber. Uber lawsuits are relatively new areas of the law. While recent Uber accidents have led to changes in the way Uber insures its drivers and passengers, it is still wise to protect your rights with the help of a qualified Uber accident lawyer. If you were in an Uber accident in Fort Lauderdale, reach out to Madalon Law today. If you were hit by an Uber driver, how you’ll file a claim can be quite complex. The claims process will depend on many factors. Was the driver actively transporting another passenger? Was the driver driving to pick up a passenger? Or, was the driver using an Uber vehicle for personal use? Each of these situations will trigger a different claims process. In the first two instances, you may be able to make a claim against the driver’s Uber insurance policy. In the latter case, where the car was being used for personal use, the driver’s personal insurance policy will handle the claim. Because the claims process can be complicated, when you’ve been hit by an Uber driver, it is helpful to have the assistance of an Uber accident lawyer in Fort Lauderdale, Florida like Madalon Law. Uber is a large company and it has teams of lawyers on its side to protect its interests. If you’ve been hurt in an accident involving an Uber car, you may be able to seek damages for your medical expenses, lost wages, and pain and suffering. Uber insures its drivers, and its drivers should have proper insurance when they use their cars for personal use. If you’ve been injured in an Uber accident, contact Madalon Law today. Our Uber accident lawyers understand the claims process and can help you navigate it every step of the way. We can provide you with a free case review and an honest assessment of your claim.